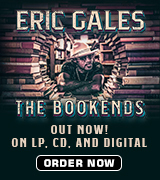 Track 03: “Lafayette” – Songs about traveling, people and places have been a timeless staple of the blues. 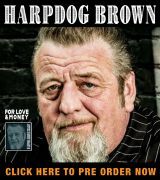 Featuring “Stompin” Bill Johnston on harmonica, it’s a jaunty, joyful ode to this Louisiana city. “Winter’s over; no more sleet and snow. Springtime is coming, and I’ve got to go – down to Lafayette, baby. Gonna get there just as fast as I can, get some red beans and rice….” This spicy treat of a track will have one playing both air guitar and air harp! Track 13: “If That’s Religion” – Religious faith, or lack thereof, completes Whitestraw’s trifecta of classic blues themes. “The world was created in only seven days? Mary was a virgin, and Jesus rose from the grave? Abraham’s willing to sacrifice his son? Now, if that’s religion, I swear I don’t want none.” He scoffs at 9/11/01 as a supposed sign of the end times, and ends with this scathing sentence: “Down a dangerous path from reality we run. If that’s religion, I swear I don’t want none.” Bold words from a Bible Belt native. It’s hard for this reviewer to fathom why more people haven’t heard of Aaron Burton. The local scene may be to blame: “It’s hard to make a living playing blues around here. I here [sic] from the older guys that it used to be better,” he tells Mr. Limnios. 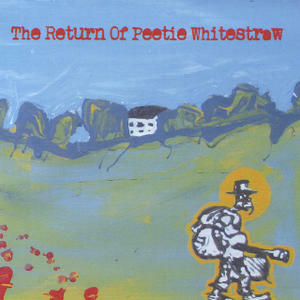 Hopefully that will change in the near future, because “The Return of Peetie Whitestraw” is most welcome!